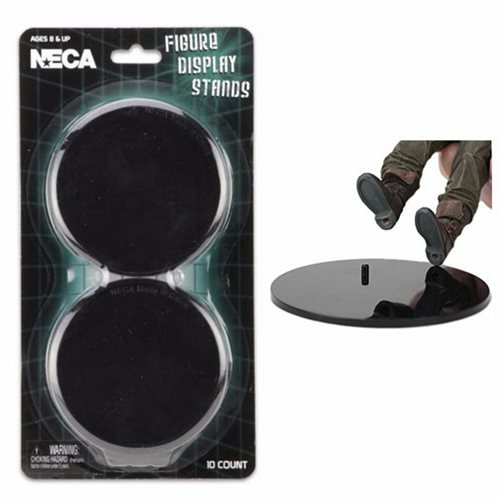 This 10-pack of black plastic display stands are compatible with most 6 to 8-inch action figures. They measure 3 1/2-inches in diameter. The single peg can plug into a figure's right or left foot to help display or to achieve dramatic poses. Blister card packaging. Ages 8 and up.